Geeklings, a very Happy New Comic Book Day to you all! How’s it going out there? You guys living the dream? Of course, you are! It’s Wednesday and there are new comics to read and you’re here at Fan Fest News reading the latest Pull List. If there’s a better definition of “living the dream”, I don’t want to hear it. Before we jump into this week’s comics, I wanted to take a second and address some of the comments made by Bill Maher over the weekend. I’ve tried, outside of a minor Twitter rant, not to feed into the fire of what was said. Maher kind of thrives on this type of thing. His latest outburst is a direct result to the uproar to his comments on Stan Lee’s death (which were also naive and hateful). Maher, who needs those ratings, took that uproar as an opportunity to double down on his thoughts on comic books, comic book writers/artists, and their fans in a way to spread more venom. Here’s the thing, saying that you’re sorry that an entire group of people are alive for liking comics is not only hateful but insanely ignorant/close-minded. Hey, I get it, comic books aren’t for everyone and that’s perfectly fine. I suspect if you’re not a fan of comics you’re probably not reading this column, and I don’t think you’re any less of a person nor do I wish you to be dead. Celebrate what you love! On the flipside of that, I don’t think it’s responsible to make comments about an entire industry and its fan base without doing a little research first. It’s not very difficult to pick up a comic book, hell, I’d even front Maher the $3.99 if that’s what it took. I just want you guys to know that I’m ecstatic that you’re alive! I’m ecstatic that you love comic books! Please, please, please don’t listen to the nonsense uttered by a man who hasn’t ever picked up a comic book, but isn’t afraid to get paid by Marvel for being in an Iron Man movie. You are no less of a person for liking comic books. If anything you’re a happier person than Bill Maher because you’re not afraid to admit what you love! We as comic readers know their value. To discount them as literature is ignorant and downgrades their importance. 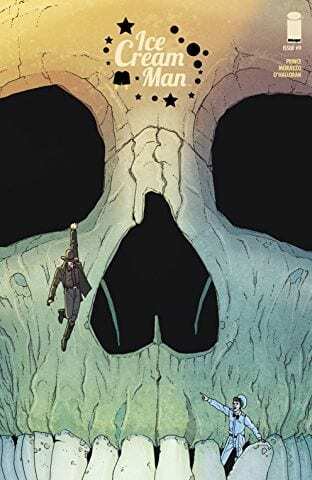 If Maher had ever read books like The Watchmen, Y The Last Man, Mister Miracle, Batman: Year One, or countless other books he would know that this medium is so much more than picture books or people getting punched in the face. Instead, he chooses to speak without knowledge because he’s afraid that his thoughts will quickly be proven wrong. And that’s fine, let Maher live in his bubble while we chase after what we love and enjoy. Who cares about the thoughts of a man who has no idea what he’s talking about? We come here to celebrate comics every Wednesday. It’s the most fun writing I have all week. So to all comic book writers, artists, editors, publishers, and fans… thank you. Thank you for being alive. Thank you for reading this column. Thank you for your stories. Thank you for loving and understanding the magic of comic books. And with that being said, let’s break down some books! 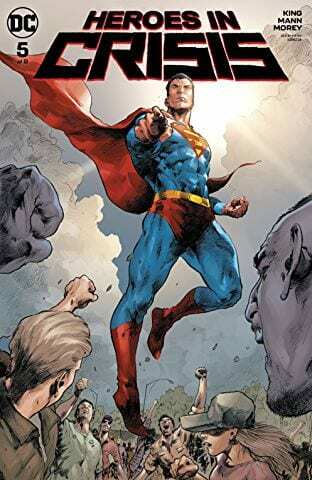 Heroes In Crisis #5– I’m not entirely sure what I can say about this book. What King and Mann are doing is tremendous. Taking superheroes and stripping away all that makes them super and showing us that they’re human (most of them) underneath all those heroics. That what they do takes a massive toll. The vulnerability in King’s writing and Mann’s art is flooring. 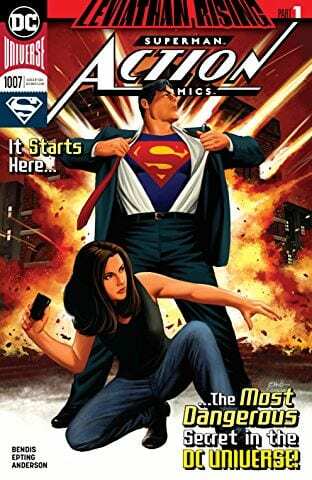 Issue five is another tremendous piece in this series filled with an incredible Superman speech that speaks volumes and a last page that I cannot shake. At all. This book is special, and it seems some of the bigger mystery is starting to unravel a bit. I won’t spoil but there are some interesting turn of events here, and if you’re reading Batman there’s something kind of big hidden here, that starts to kick this series towards its endgame. I don’t think I’m emotionally ready for what that is but I’m damn sure excited to read it. 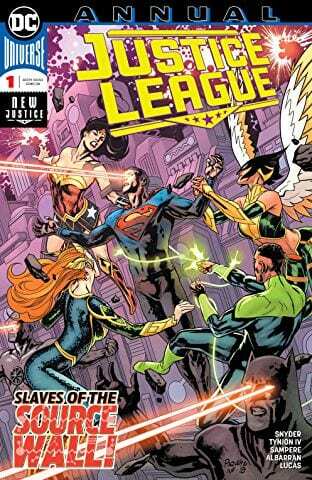 Justice League Annual #1– I’m not entirely sure how to describe what’s happening within the pages of Justice League. I just don’t think I’m capable of explaining it correctly. There’s a Source Wall that’s collapsing. The multi-verse could be destroyed. Omega Titans. Seriously, Scott Snyder and James Tynion IV have this book all types of crazy town banana pants. What you need to know though is that this Annual is mega important for the second half of this run. There will be answers. There will be new questions. There will be crazy action. If you’ve been reading Justice League this is the issue you’ve been waiting for. Hold on to your butts! Age of X-Man Alpha #1– Marvel has gone all in on their X-Men resurgence, and as a child of the ‘90s who isn’t all in on the Inhumans, I’m pumped. There are a number of X-Books on the shelves, with the flagship book most likely being Uncanny, helping to re-establish the importance of mutants to the Marvel Universe. Age of X-Man Alpha is something different than those other books though. 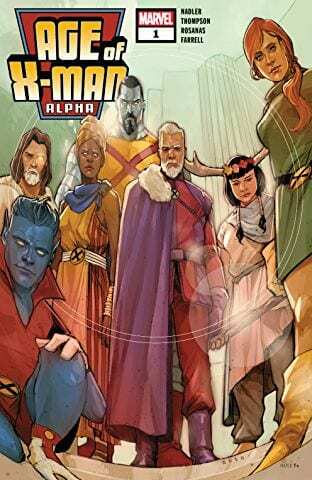 Shrouded in mystery, Alpha is another one of those classic X-Men stories with the re-writing of history/alternate timelines that will have a major impact on the X-Books going forward. Lots to be excited about if you’re an X fan! 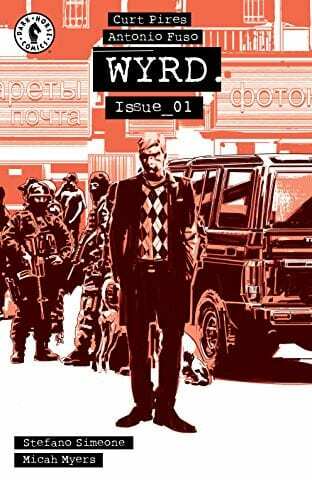 Action Comics #1007- Snake cults. Yes, snake cults. Jimmy Olsen. Superman. Brian Michael Bendis. A new story arc. Same comic book awesomeness. I mean, this had me at snake cult. 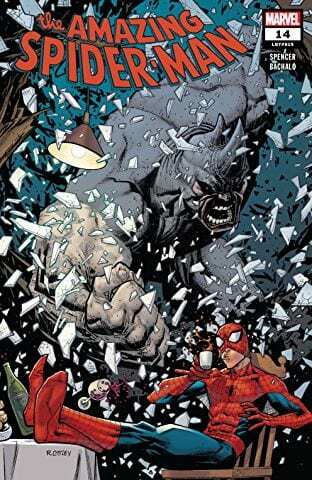 Amazing Spider-Man #14– If you haven’t been reading Nick Spencer’s Amazing Spider-Man run then shame on you! You need to fix that immediately. If you have been reading this run then you’re perfectly aware that we’ve been building up to something. A certain something with Kraven the Hunter (yes, he’s back!). A hunt if you will, and this new story arc is going to lead us right into it. Spencer has really grounded his run in some fantastic character work, and that has only enhanced his storytelling. Big things on the horizon for Spidey and they kick off here in issue fourteen! There you have it Geeklings, all the best books to get your mitts on! 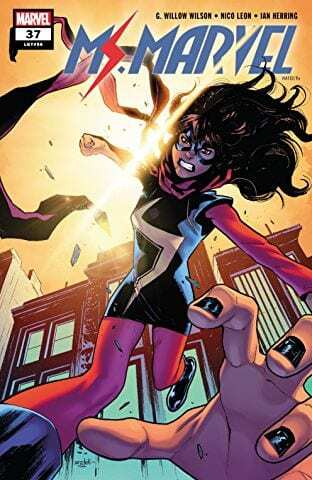 As always, if you feel like I’ve left anything off this week’s Pull List be sure to sound off in the comments. 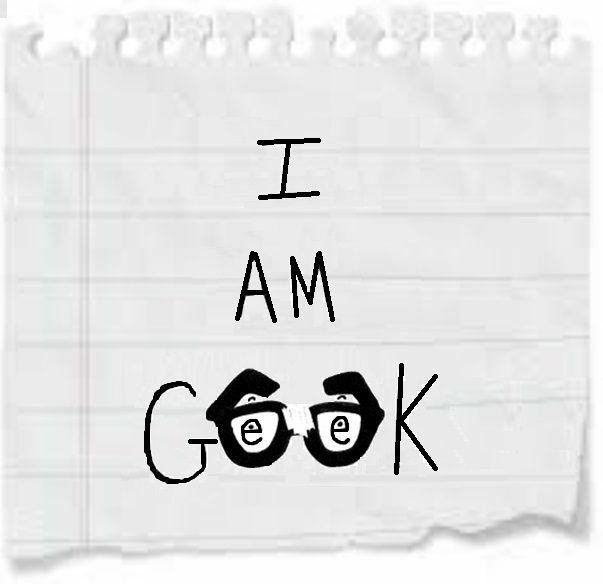 If you’d like to talk more comics with yours truly then throw me a line over on Twitter @iamgeek32. Always happy to chat with you guys. Speaking of Twitter, I’ll be there tonight live Tweeting the newest episode of Deadly Class with an episode review tomorrow night. Lots to look forward to! Until next week my friends, happy reading and many huzzahs!